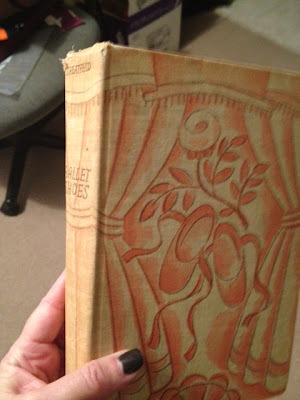 I came from a family of readers. Hey we're Jewish and they call the Jews "People of the Book" right? But it's more than that. My Dad was always reading something, even on the john - and yes, the loos in our house are also filled with reading material - I mean there's so much to read and so not enough time, why waste a precious moment? 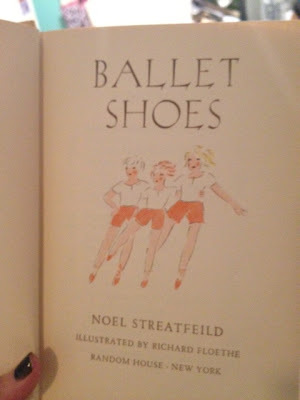 :-) My Mom was also a big reader and she took us to the library every week to pick out new books Beloved books have been handed down the generations - I have my late Aunt Marilyn's 1937 hardcover copy of Noel Streatfeild's Ballet Shoes. Last year at the Hudson Children's Book Festival, I was fortunate to hear Walter Dean Meyer's speak. He is a passionate advocate for literacy - as our National Ambassador for Young People's Literature, his tag line is "Reading is not optional." He spoke about growing up in Harlem, and how he didn't grow up in a house of books but his mother would read magazines to him and then, as soon as he learned to read, she'd have him read to her while she was ironing. Virginia Woolf wrote about having a room of one's own. When it comes to literacy, it's so powerful for a child to have a book of one's own. And that's why I support Reading is Fundamental. Because I know that there are so many kids who aren't lucky enough to grow up surrounded by books the way I was. Kids who are growing up in neighborhoods where the school librarians have been cut and the library budgets are being cut. Kids who need a book of their own. This Thanksgiving week, I'm grateful that I was surrounded by books growing up and that I've been able to provide that experience for my own children. To express that gratitude, I'm making a pledge that for every additional follower on Twitter @sarahdarerlitt (excluding p/rn spammers!) between now and midnight on Thanksgiving Day, I will donate $1 to Reading Is Fundamental. I hope you'll join me!